Working at The Workshops Rail Museum located within the Ipswich Railway Workshops, it is impossible not to be inspired by the engineering capabilities of these workshops. The opening of the workshops took place in 1903 to replace the outdated and constrained site, dating from 1864, on the north bank of the Bremer River now occupied by the Riverlink shopping centre. The increasing traffic and the expansion of the rail network in Queensland meant that the early light-weight locomotives could not cope with the volume of traffic especially on main lines. The use of heavier locomotives was generally prevented by the light track and bridges that had been built since the railways first opened. The C16 Class was the first locomotive type to be designed and built at the new workshops. The Chief (Civil) Engineer approved this design for use on 41¼ lbs rails but severe restrictions were placed on where it could be used until track and bridges were strengthened. The prototype trialled between Brisbane and Toowoomba was very successful. Only one C16 now survives, No.106 cared for by Downs Steam in Toowoomba and memories brought to mind through photographs and an Australian folk song – “Billy Sheen and his C16”. The first C16 built poses in a grey paint scheme at the Ipswich Railway Workshops in 1903. 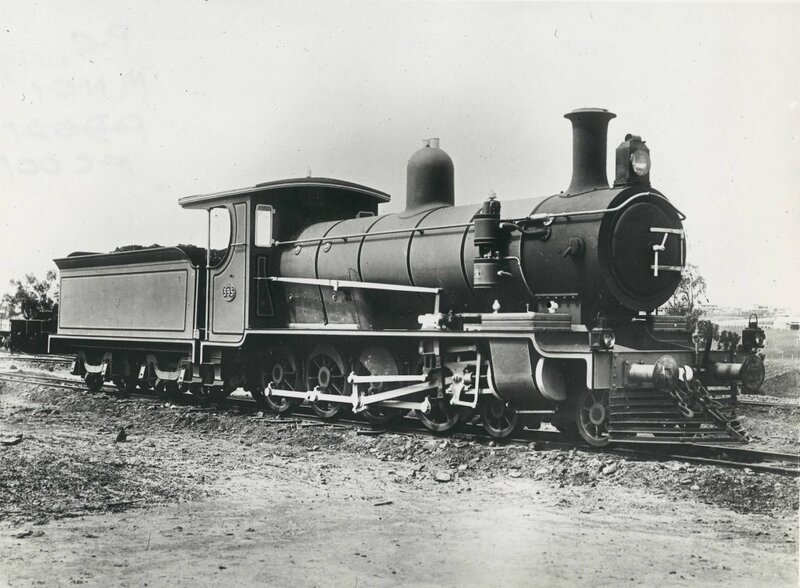 It was the prototype of a new class of locomotive and the first locomotive built following the opening of the new Ipswich Railway Workshops in February 1903. Image from The Workshops Rail Museum / Queensland Rail collection.